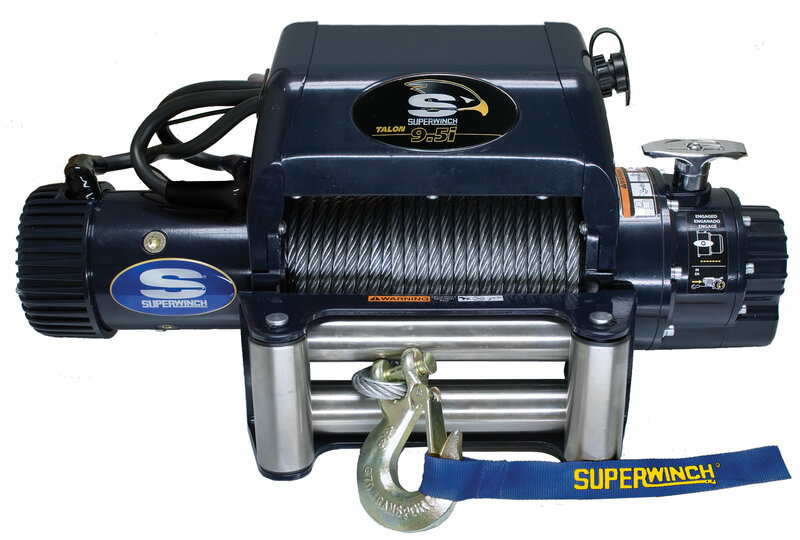 This is the industry's best truly sealed vehicle recovery winch assembly. All seals on the entire winch meet the IP67 standard, from the outermost end of the high performance motor and groundbreaking solenoid to the 2-stage planetary and 2-stage spur gearbox. The sealed 5.2 and 6.0 HP motors deliver a quick but safe 62 FPM line speed at a low 75 amp draw. Heat sink-styled motor cap maintains low temperatures under the heaviest loads. The solenoid will keep out water, mud, snow, and dust and has a patented venting feature that allows the contacts to resist water and release contact damaging internal condensation. The VS4 Solenoid (Vented, Submersible, and Stabilized with Sealed Socket) is simply the best winch solenoid in the world, and it's located inside this modern-styled rugged enclosure. The innovated "Dual-stop" 100% load holding brake design provides zero drag on cable in and is located inside the gearbox away from the drum to eliminate heat transfer to the synthetic rope. A special steel drum is constructed with high tensile strength material to resist the unique loading characteristic of the optional synthetic 3/8" x 80' rope rated at 17,600 lbs ensures a safe pull. There's an ergonomically shaped hand-held sealed remote with brilliant LED light for assisting in night-time winching. The remote also meets the tough IP67 standard, which ensures water, mud, snow, and dust is kept out. The chrome plated aluminum ergo-free spool knob lifts and turns effortlessly, easily rotating in 45˚ increments for custom and "in bumper" applications. The laser-etched aerodynamically shaped extruded aluminum tie bars reduce weight, and the three tie-bar construction adds strength and structural rigidity between drum supports. The tie-bar bracket includes steel-lined rubber insulated mounts to stabilize the solenoid and reduce vibration and fatigue.